Located in the middle of the ritzy Sarıyer district of Istanbul, the medieval fortress Rumelihisarı is a quick visit from anywhere in Istanbul. For us, it was the perfect day out in the sunshine- a beautiful historic location right on the shore of the glittering Bosphorus, and only a couple of hours commitment to go see it. Rumelihisarı was built by Ottoman Sultan Mehmet II in 1452.The name means "Fortress built on the land of the Romans", alluding to its location on the European side of the Bosphrous. The fortresswas built very quickly for a structure of its size, and it was built with a single purpose in mind- to cut the throat of the Byzantine Empire, ending it once and for all. The original name of the fortress, before it was changed to Rumelihisarı was Boğazkesen- "Throat Cutter"
From Rumelihisarı you can gaze across the Bosphorus to a much smaller fortress on the other side, Anadoluhisarı, the Asian fortress. Anadoluhisarı is less than a kilometre distant, across the water where the Bosphorus is only 660m wide. 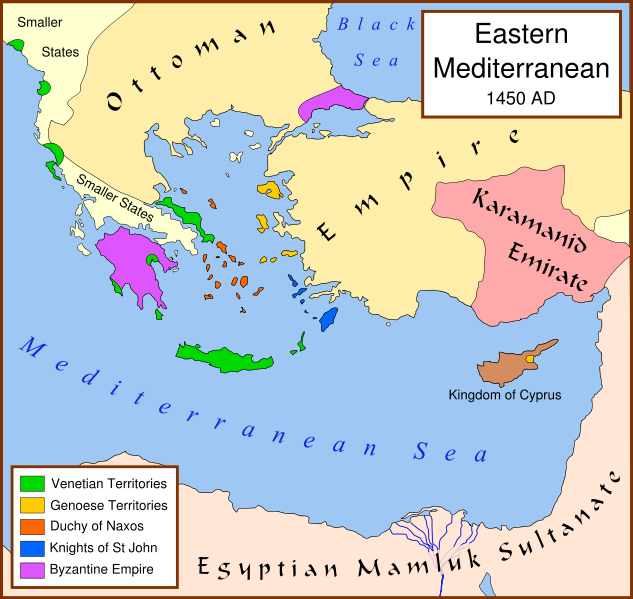 By 1452, the Byzantine Empire had been in a state of on-again-off-again war with the expanding Ottoman empire for around two hundred years, and it was hardly an empire at all, holding only the capital, Constantinople, a small area of Thrace, and a few offshore possessions. All across Anatolia, the Turks had steadily expanded and conquered Byzantine cities, often welcomed as liberators, rapidly converting the citizens to Islam. The Turks taxed Anatolian peasants less than the Byzantines and were generally viewed as the better rulers. The Turks had whipped the Byzantines soundly, made vassals of their empire, and gone around Constantinople, continuing on their way into Europe. 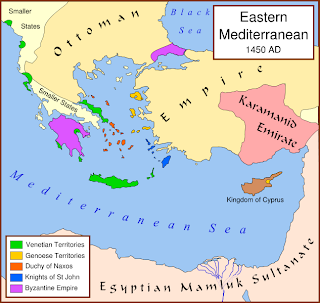 However, in the early 15th Century changes in leadership on both sides and some grating religious intolerance between Christians and Muslims renewed the conflict between the rival powers, reminding the Turks of the strategic importance of holding Constantinople itself. The Asian side of the Bosphorus, including what today are the Istanbul suburbs of Üsküdar and Kadıköy, belonged to the Turks, and the Turkish navy controlled the narrow stretch of Bosphorus north of the city. With Anadolu fortress on one side of the Bosphorus, Mehmet planned to build another, larger fortress on the European side, strangling resupply to the city from the allied Genoese colonies in the Black Sea to the north. Mehmet designed the fortress to act as a staging post for the invasion of Constantinople itself. He charged his three top generals with the task of building one tower of the fortress each, setting it up as a competition to see who could build their tower the fastest. Mehmet personally took command of building the walls between the three main towers, and the whole fortress was built in less than five months. The rest, as they say, is history. Control over the Bosphorus strait and an attacking fortress built, Mehmet launched his massive invasion and took Constantinople in 1453. Its purpose achieved, Rumelihisarı became strategically irrelevant, it later served as a garrison, a prison, now a museum. 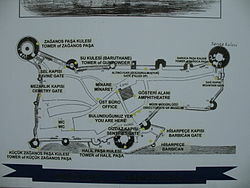 The fortress is huge, roughly 60,000 sq/m, and for 3TL at the gate you can stroll around the grounds and over the walls. It is easy to get to, either take the 25T bus from Taksim for 2TL, or a cab ride for the same distance is about 20TL. The view over the Bosphorus to Fatih Sultan Mehmet Bridge is particularly nice. There are plush cafes everywhere surrounding Rmelihisarı, and a concrete boardwalk along the Bosphorus shore that makes a very pleasant stroll if you want some more light exercise. A nice day out with an interesting historical twist.